It’s been awhile since my last post! School starting up again had me heading into the studio to make up for all those days not in the studio and no time for blogging. I’ve been working on several paintings- mixed media as well as landscapes. 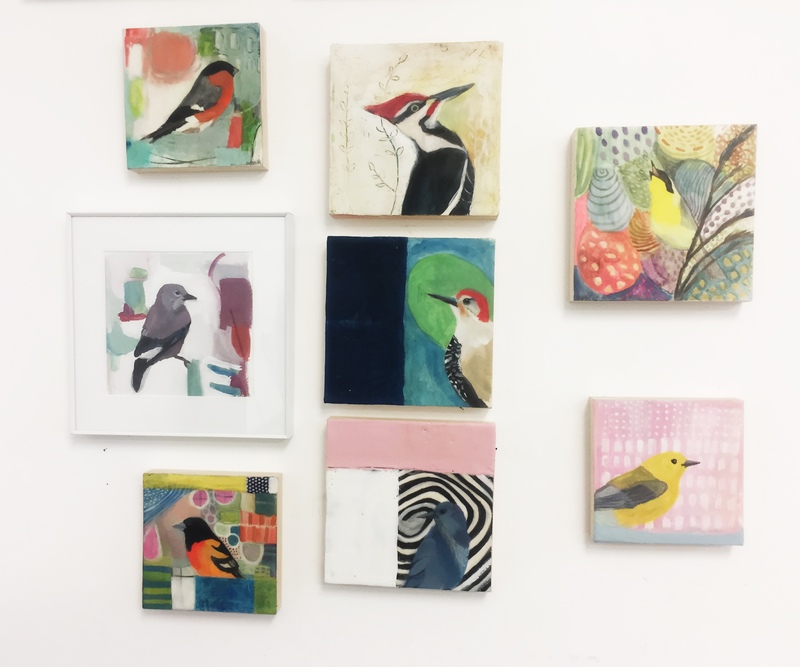 And in between, and here and there, I have been mounting my gouache bird paintings from my 100 Days of Birds to cradled wood panels and continuing work on them with encaustic and other collage bits. 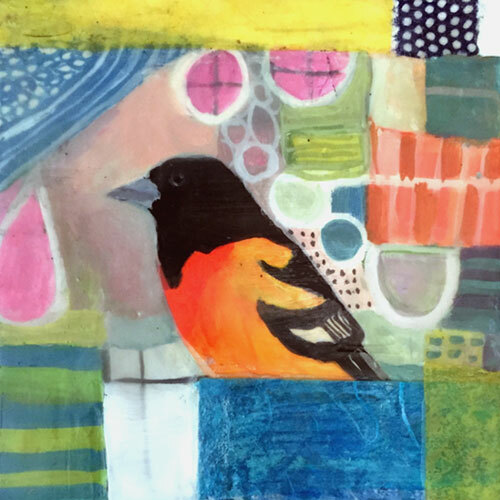 This little remake of the Baltimore Oriole is a happy little painting. I read up on several meanings of the symbolism of this little bird and they all had to do with brightness, looking ahead with optimism, and that all is well. I once spotted the Baltimore Oriole high up in a tree and it makes sense that those are the interpretations. I felt a jolt of joy when I saw that flash of orange! I’ve only ever seen it once and it’s not all that common to see it even though I live by a city that claims the bird for its baseball team, but you really can’t help but smile when you catch a glimpse of the brightness of its feathers. The other day I made a happy wall in my studio filled with my birds. Hoping to add more soon and hoping to send some to new homes. The ones that are available can be found in my online shop.